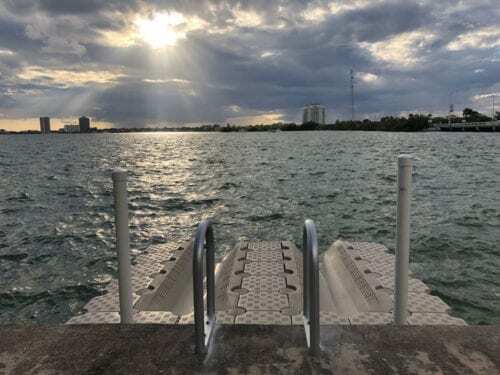 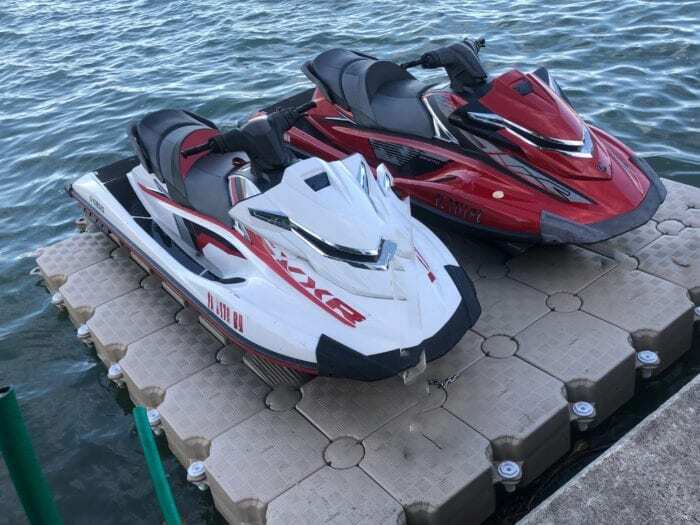 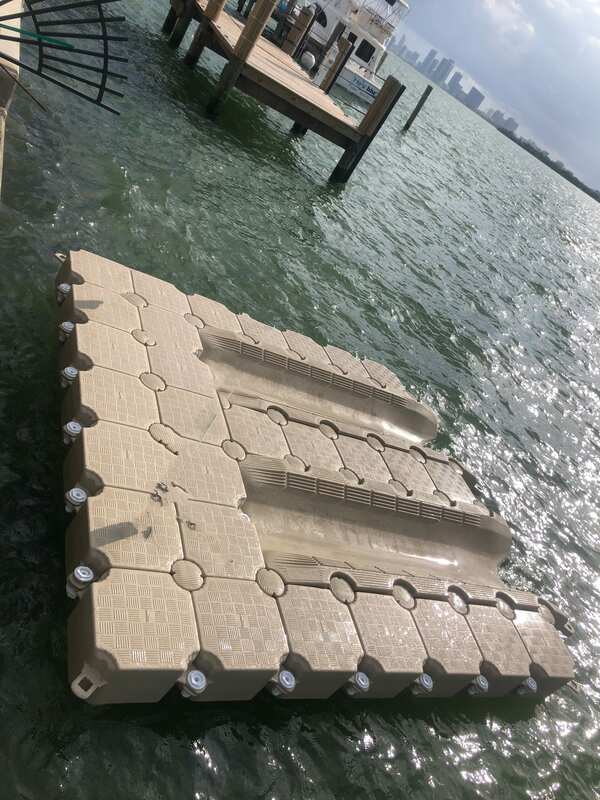 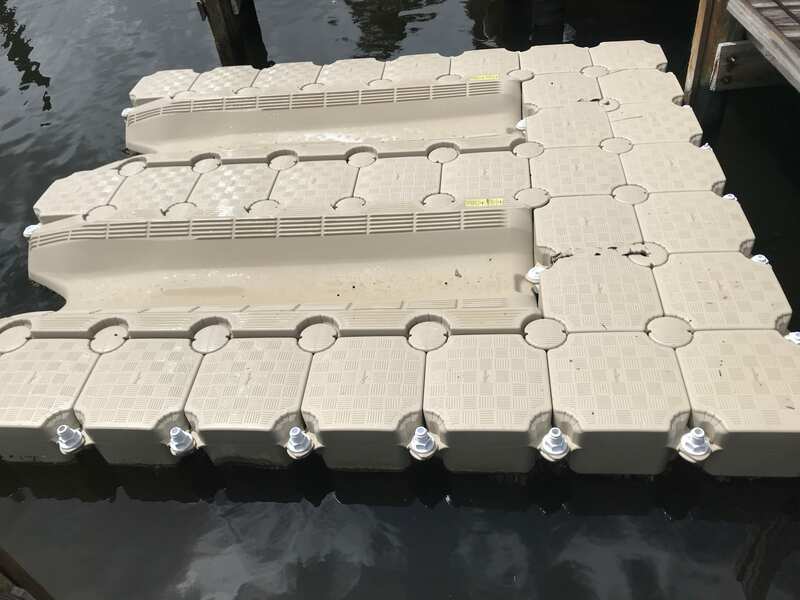 The perfect Floating dock for 2 Jet skis! This set up ties to your dock with your ropes. 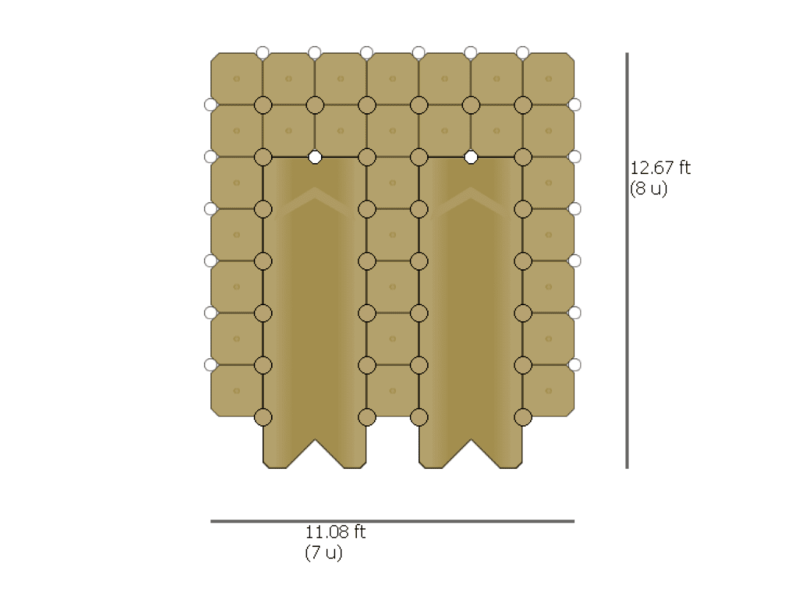 It does not include anchoring. 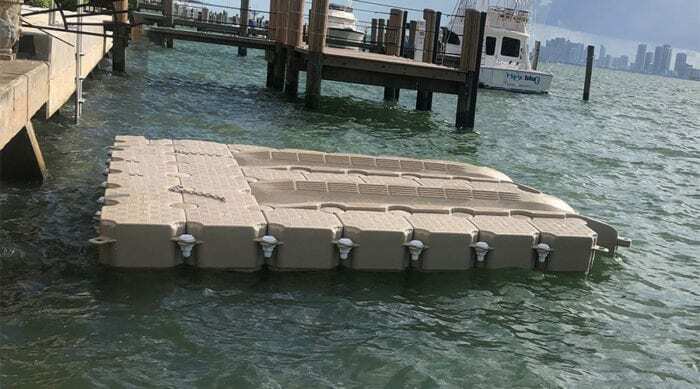 It is ideal for marinas or condos with posts.